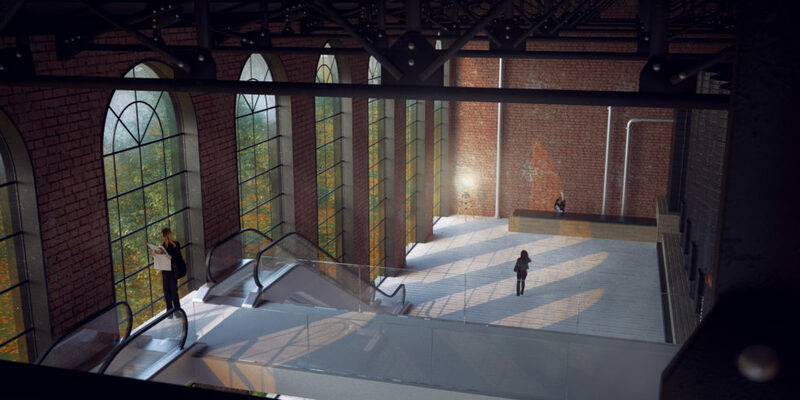 This project was done to publicize a modern escalator, the client asked me to demonstrate how this stair can be used in historic or industrial buildings. 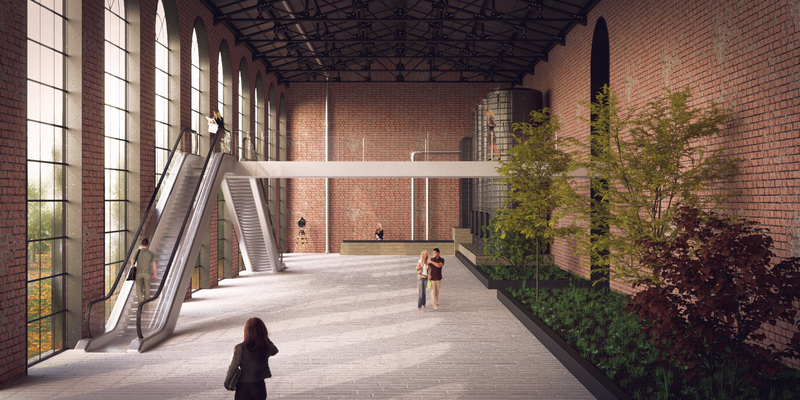 I designed the restoration of an industrial building where to insert the staircase. As for the representation, I modeled the building with Rhinoceros, then I moved to 3DS Max to insert elements of furniture with Itoo Railclone, internal and external vegetation with ForestPack. I then moved on to Substance Painter to texturise some pieces of furniture and Substance Designer to create architectural materials. I'm back in 3DS Max to insert materials, lights and render with Corona Renderer; with the LightMix function I could get the right atmosphere without wasting time. Finally I moved to Photoshop to correct colors and add some atmospheric elements.